Hey there! I'm back for a second post today. I've been a blog slacker lately so haven't been posting much but I wanted to get this Nail Crazies Unite post up before I leave for vacation tomorrow. 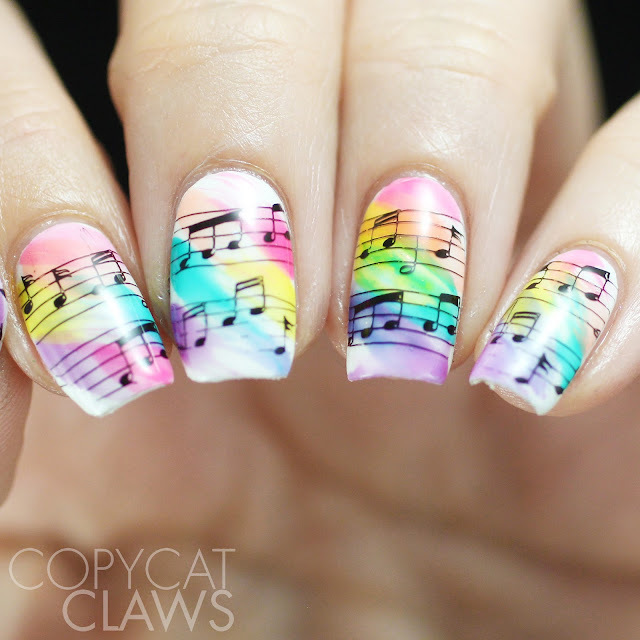 This week's prompt was "Music With Rainbow Colors". 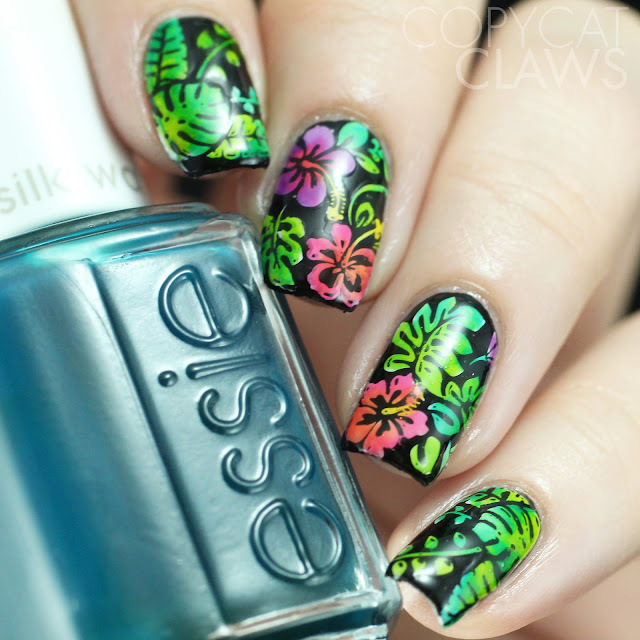 I feel like I've done a similar mani to this before but it was ages ago so I felt okay revisiting this look. 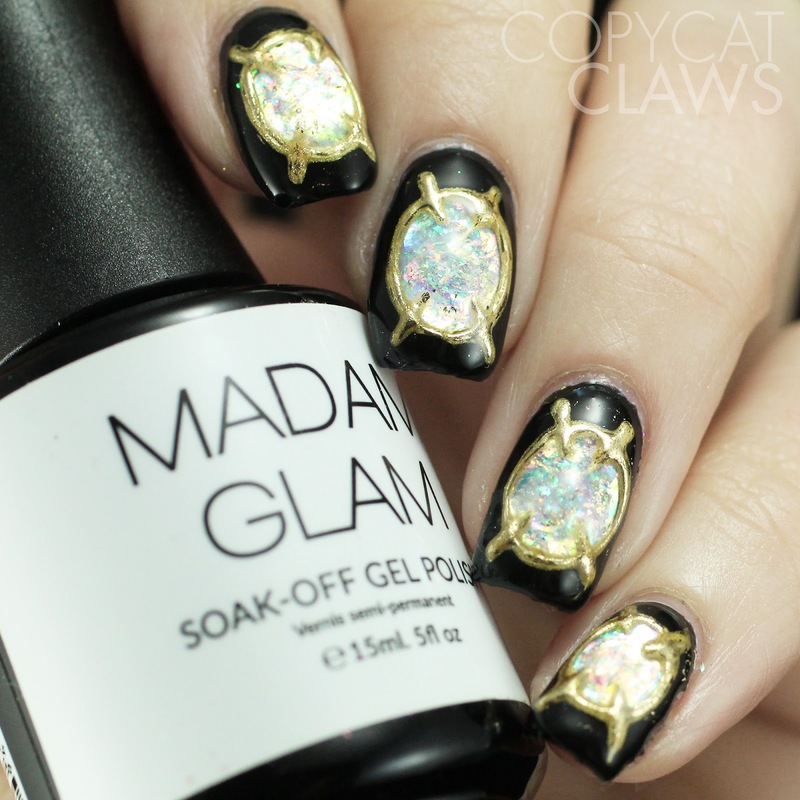 This was really quick and easy and easily replicated if you have any sheer polish. Hope you like it! Hey there! Today I have the upcoming polish from Moonflower Polish, Enchanted Rose, for August's Polish Pickup theme of Musicals. Like Nadia, I'm not a big musical fan but I do love Disney movies so her Beauty and the Beast inspiration was right up my alley. And the fact that this holographic pink polish was a dream on its own AND stamps, made me so happy. Keep reading to see more details on how I tested it out. If you're a pink polish lover, I'd say get this on your PPU wishlist as soon as you can. It is capped at 75 bottles so don't wait! Hey there! 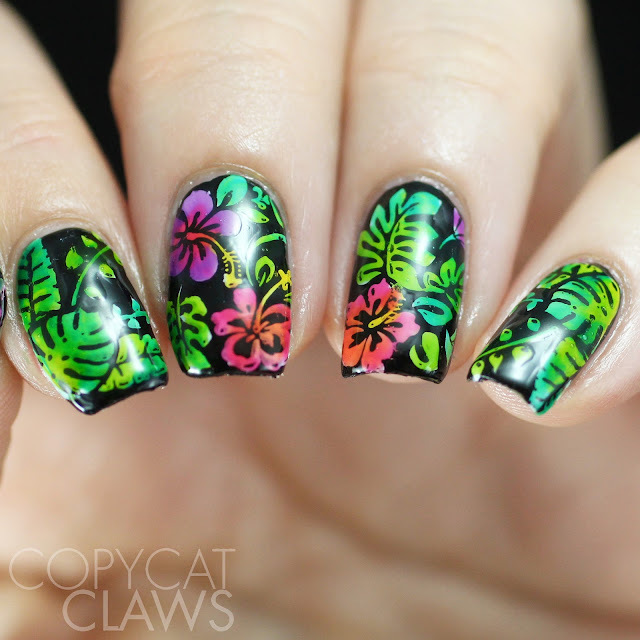 Today I have a couple manis to share that I did with Bundle Monster's collaboration stamping plate with Black Queen Nails Design. Honestly, I thought this plate would be a bit limiting with all the face images on it (you can see the plate design after the jump) but I actually really like it. 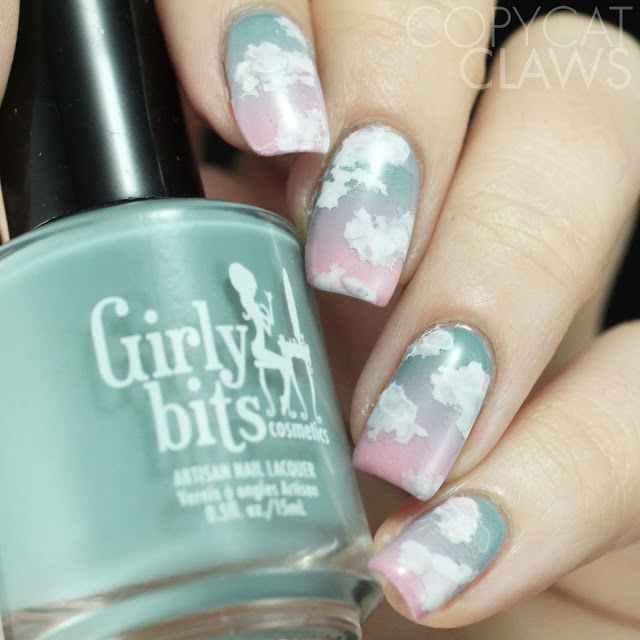 I wouldn't put all the pretty ladies into a single mani but the make a great accent. I also did some simple stamping with a couple of my favourite polishes for my second mani. That one might be up more folks alley but I personally love how the first one turned out. Hey there! 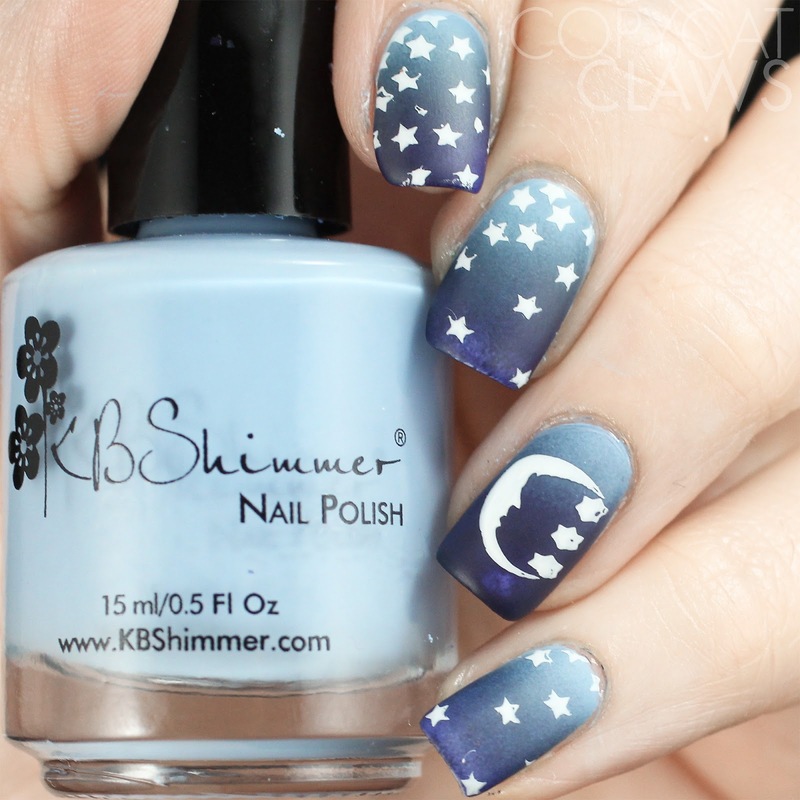 Today's 26 Great Nail Art Ideas theme is one I love...Stars! 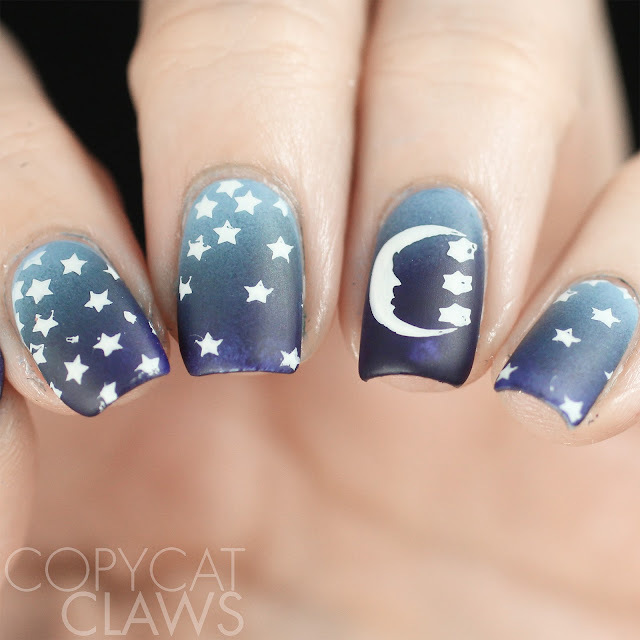 However, the star mani I planned to post for this ended up looking like crap...booooo!! 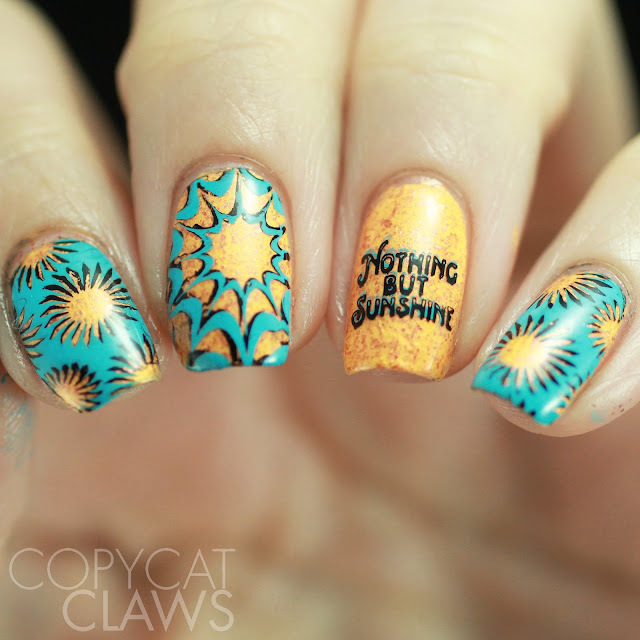 Luckily I had a mani that I did over a year ago that I never posted for some reason that fits the theme perfectly. 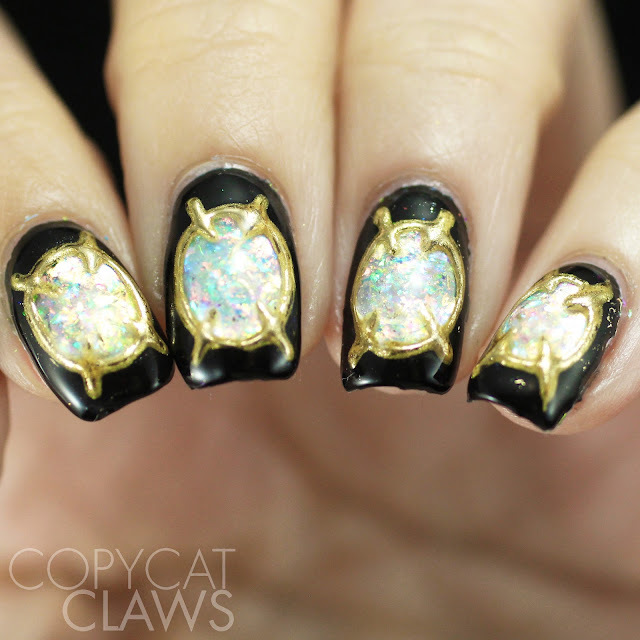 So here we have some almost-ancient star stamping over a KBShimmer gradient. You all know how much I love my KBShimmer cremes, partially because they make such good gradients! Hey there! Bundle Monster has just released a crazy interesting new Tattoo Artist Collab Collection of stamping plates and I was lucky enough to get to play with them before my little vacation last week. This set of 5 plates has been put together by Bundle Monster and, get this, some amazing tattoo artists!! The Tattoo Collaboration is a set of 5 6 x 12 cm plates, each with a variety of images created by 4 tattoo artists. What they came up with are some insanely unique images that I’ve never seen on a stamping plate before. 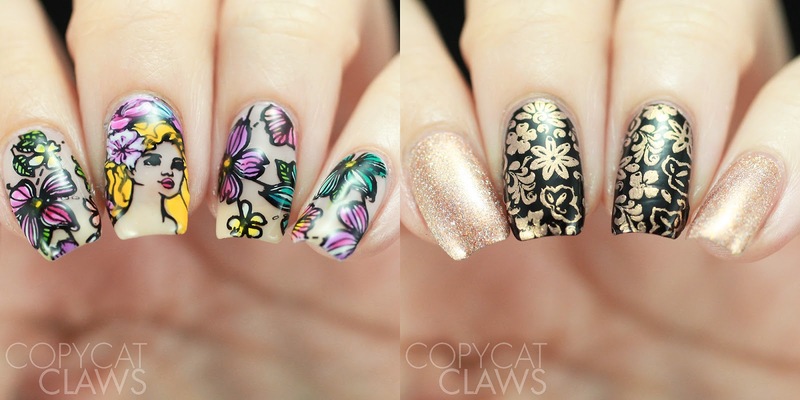 It was a blast translating them onto my little nail canvasses. I also have a brand new affiliate code so you can use COPY10 to save 10% on your order. Hey there! 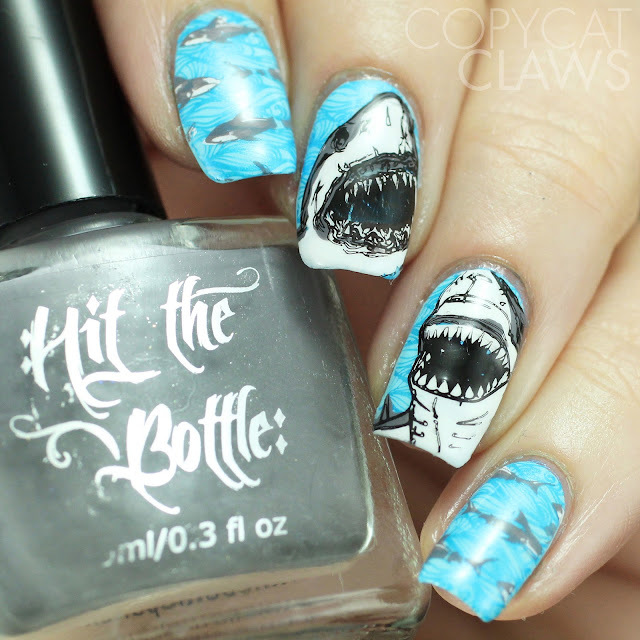 And finally, I'm back to a stamping design for my final Digit-al Dozen White mani AND this week's Nail Crazies Unite prompt of Sea Creatures. I wracked my brain for white sea animals and could only think of seals. Luckily my sister is far more clever than I and she thought of great white sharks. 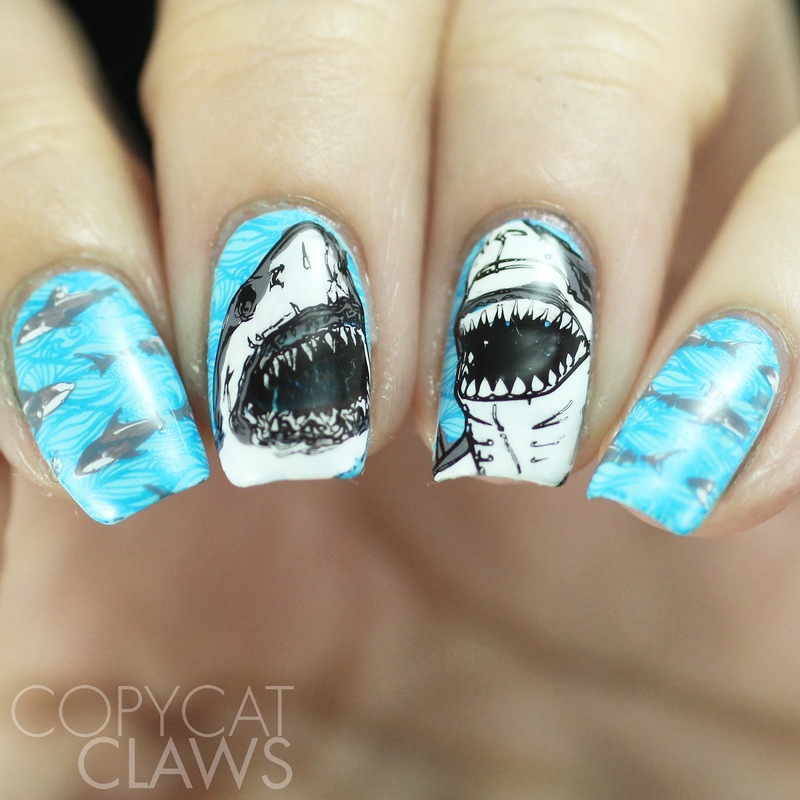 And, since Shark Week starts next weekend, it's almost perfect timing! Hey there! Okay, let me start by saying that my fourth Digit-al Dozen does White design did not turn out how they did in my head. Opals are my favourite stone and they're white (with flecks of awesomeness) so I thought that would make a good "white" mani. I don't know what these turned into but they weren't very opalescent. I think they were too sparkly. But I'm using them anyway because the idea was still fun even if the execution was poor. Plus it took awhile with all the gel polish curing so I'm sticking with them! Hey there! 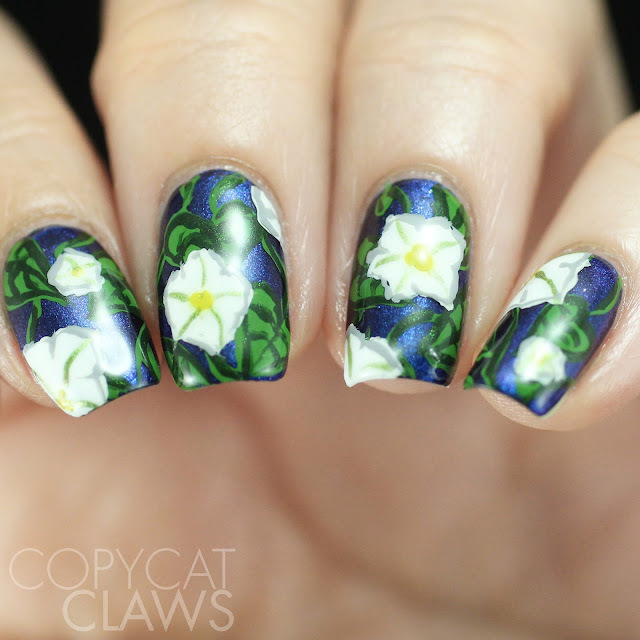 For my third Digit-al Dozen "white" nail art, I wanted to do some white flowers. I suppose I could've done any floral nails in white, but I remembered that moonflowers are apparently white. 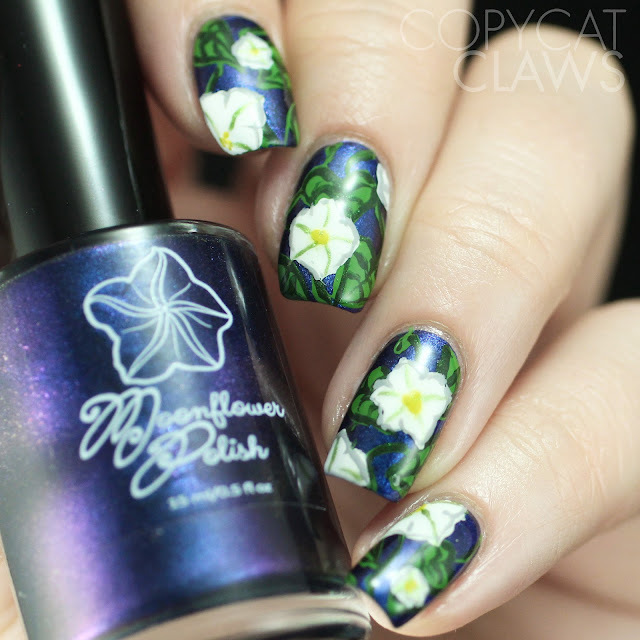 I don't think I've ever actually seen a moonflower but I love the Moonflower Polish brand so I thought I'd combine the polish with the nail art. I tried with all my might to find a stamping plate that would work but, can you believe, I couldn't find a single moonflower image in all my plates?! So I used the Moonflower Polish bottle and attempted to freehand them. Hey there! 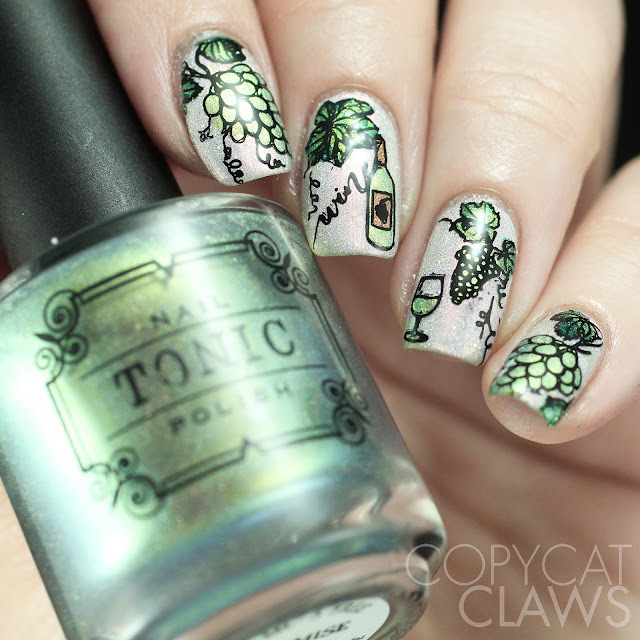 For my second "White" Digit-al Dozen mani, I did some stamping that I went with white wine. I rarely drink wine and, when I do, I prefer it to be the bubbly sort so I think I would prefer white to red wine. But honestly I don't know. 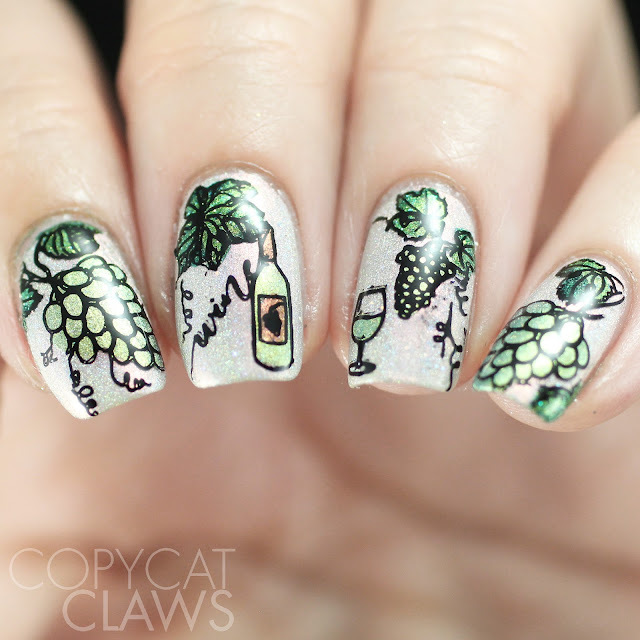 I really just stick with drinking beer (I'm such a good Canadian) but beer isn't white so we have wine nails for today. Hey there! It's a new Digit-al Dozen week! This week we have the theme of "White". I have a feeling I voted for this theme but when it came to actually doing my nails, I could only picture white nails...which would make for a mighty boring week. Instead I tried to think of things that are white (or at least have white in their names) which was still challenging but kind of fun. 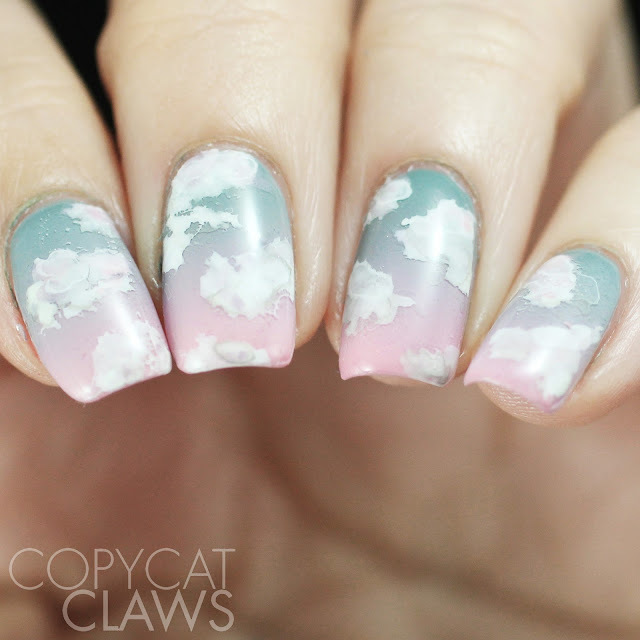 I'd been wanting to do cloudy nails for awhile and clouds are white so that's my day 1. Hey there! 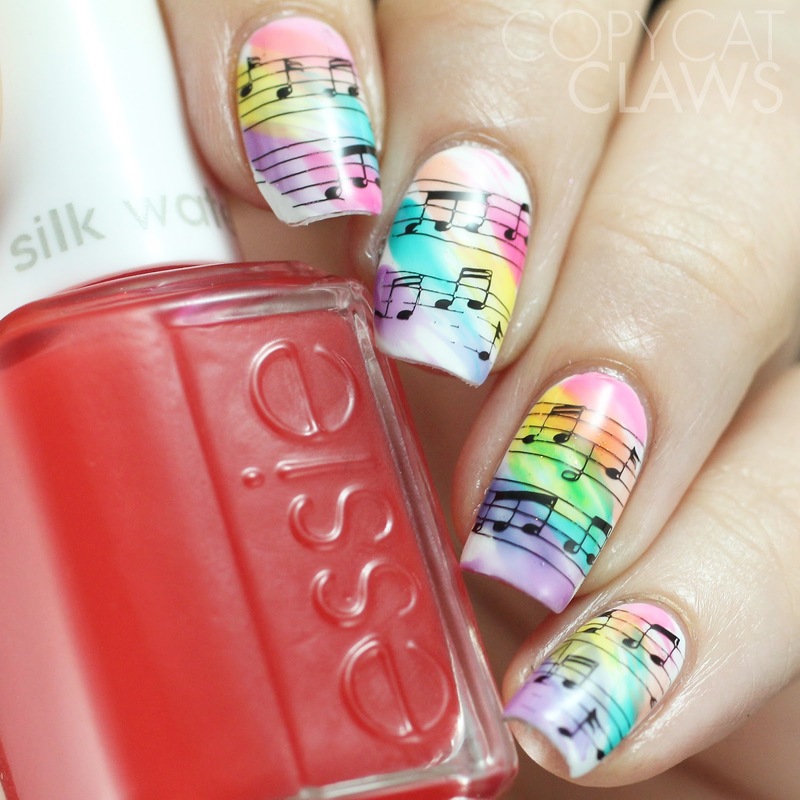 This week's 26 Great Nail Art Ideas prompt is Least Favourite Color. I do like most colors...except yellow. But I just posted a yellow mani a few weeks ago and I genuinely couldn't bring myself to do another so I went with my second least favourite color....yellow's sister, orange. 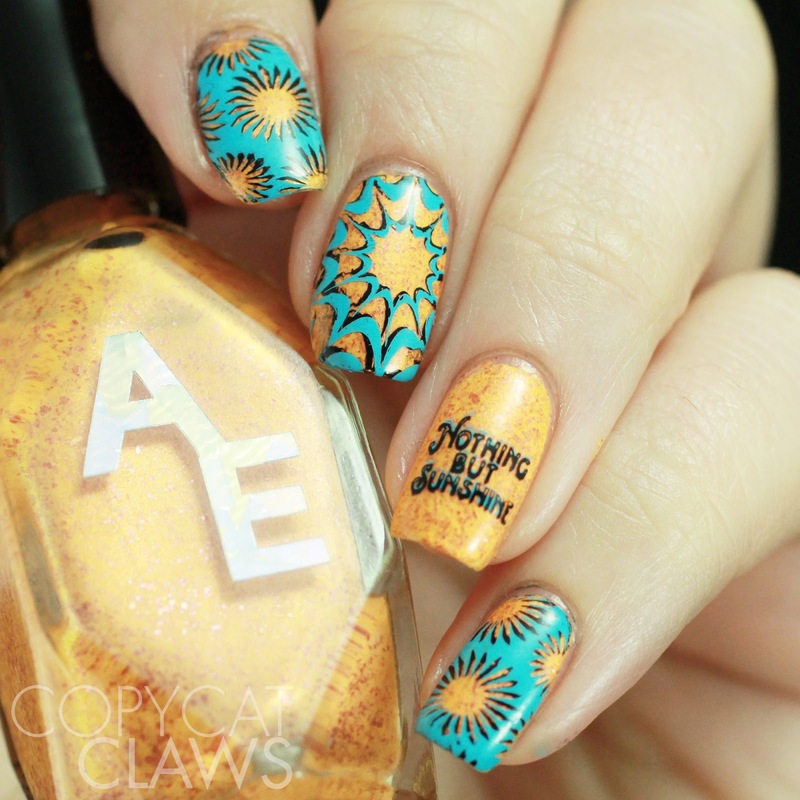 I suppose it's slightly ironic that I actually LOVE the orange base polish that I used for this sunshine-y mani considering the theme. Plus I added my favourite color to balance it out. Hey there! For awhile now, all my nail art has either been for reviews or nail art challenge groups (which I feel the utmost need to keep up on) but today's nails was something I did entirely for fun. I think I've mentioned that I recently bought the Essie Silk Colors sheer polishes to add to my leadlighting collection. Since there really doesn't seem to be any white in any of them, I thought they'd be perfect for some reverse leadlighting. I was motivated by @ladyandthe_stamp's #hawaiianshirtfriday and wanted to do a sort of Hawaiian shirt print myself. But Friday's are always nail challenge group days for me (either 26 Great Nail Art Ideas or Nail Crazies Unite) so Tuesday it is!